Photographer Richard Kocurek has been a resident of Crested Butte since 1984. He owns and operates a store that provides paragliding products. 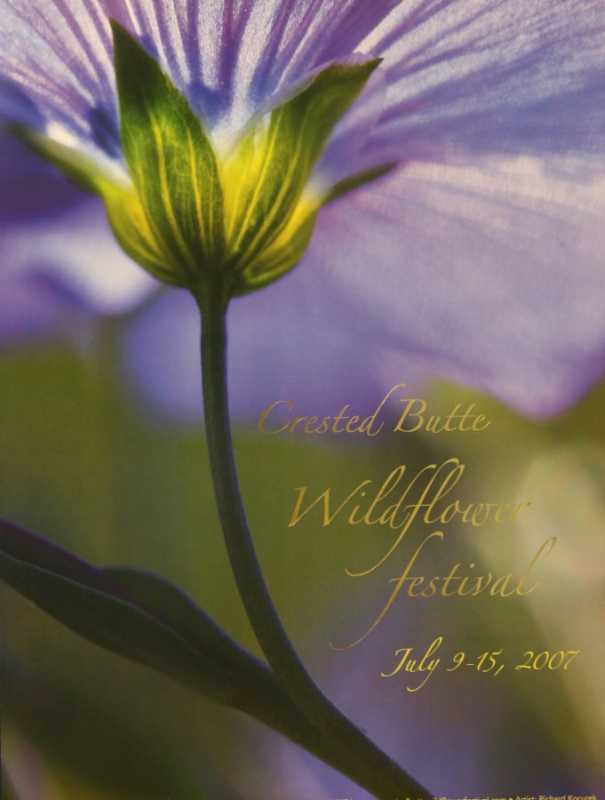 This year’s photograph of a graceful blue flax was taken July 4, 2005. When Richard could not fly that day, he decided to spend the morning photographing some wildflowers near his home. He states that during the summer as a paraglider pilot and photographer, he often has one eye on the sky and the other on the ground. With the morning light filtering through the petals of a cluster of blue flax, he decided the best angle would be looking up from the bottom of the flower, in order to capture the delicate, transparent nature of the petals.